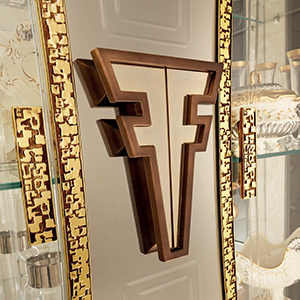 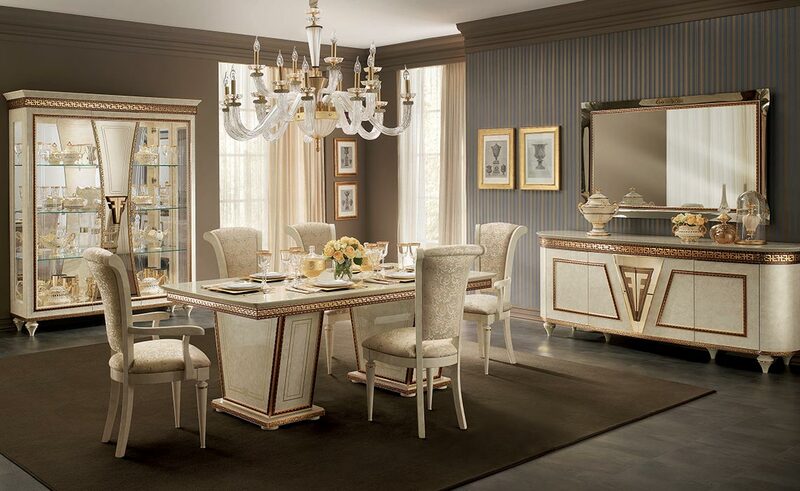 In the Fantasia dining room, modernity merges with the antique grace of neoclassic styling touches, evident in the furnishings that compose it. 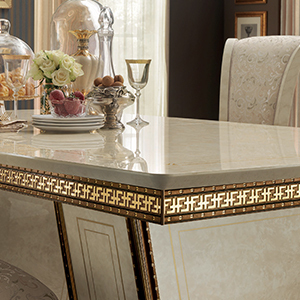 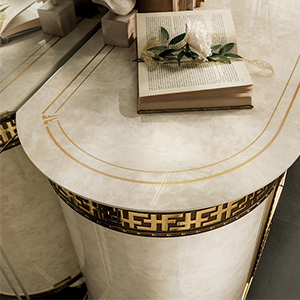 Decorative elegance harmonizes perfectly in the contrast between structural linearity and curves, such as in the table and combination table and sideboard. 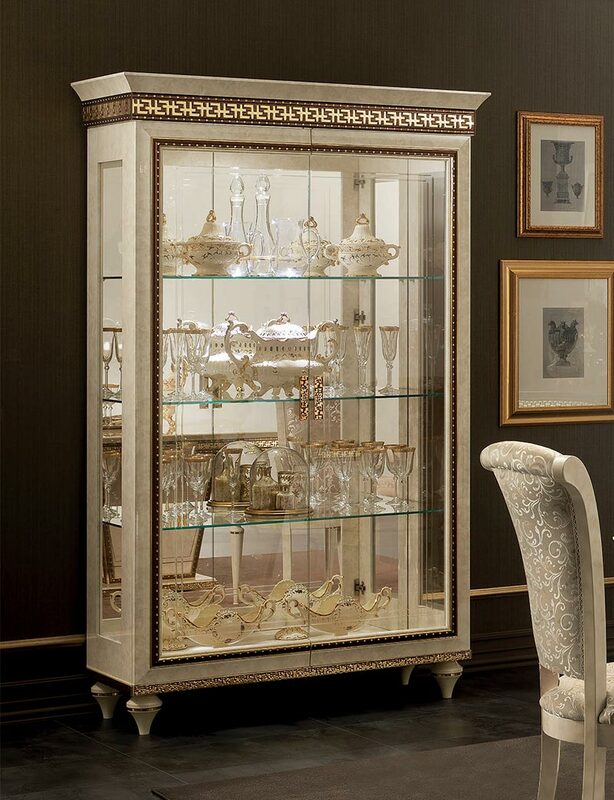 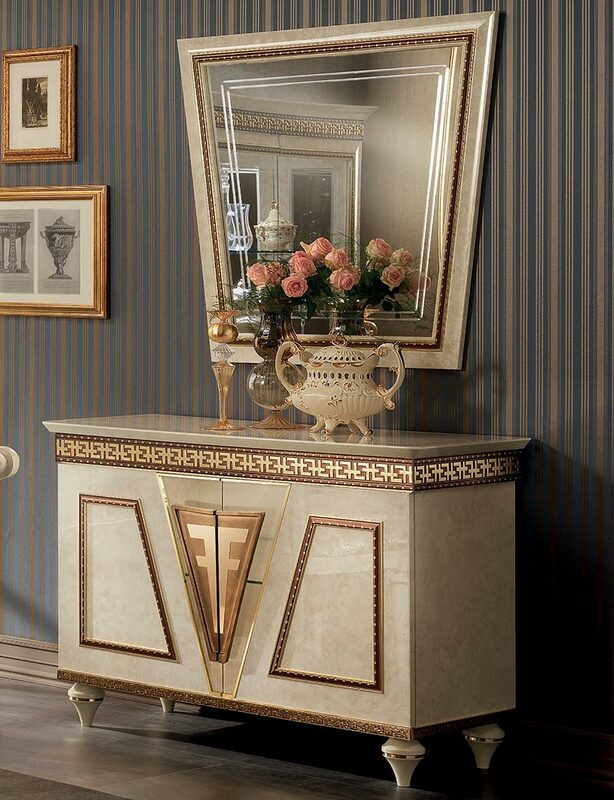 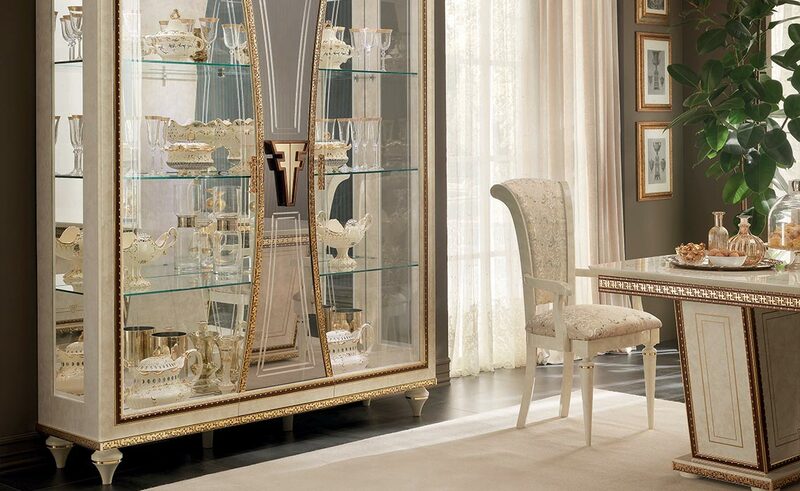 Elements such as the hutch and the large mirror make the environment luminous. 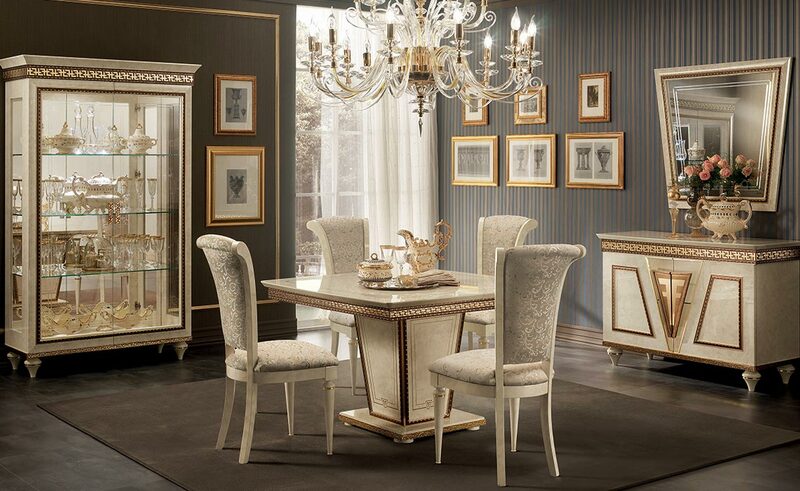 Elegance and comfort go hand in hand.